The Rebel Sweetheart. : Rebuilding the Nation with Globe's Project Wonderful. 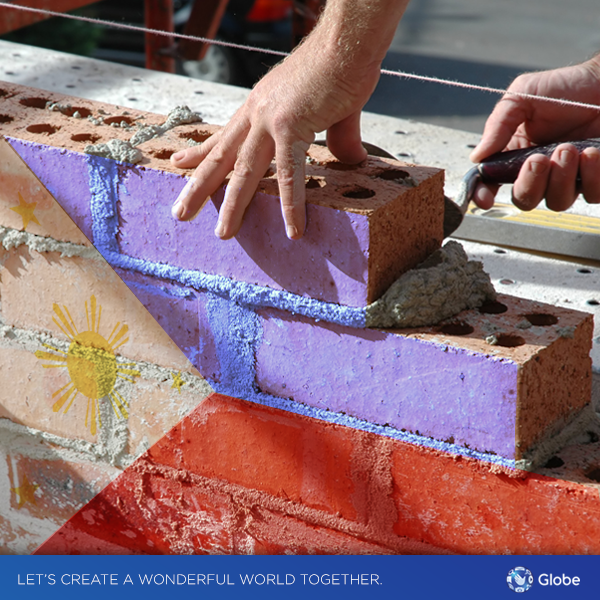 Rebuilding the Nation with Globe's Project Wonderful. 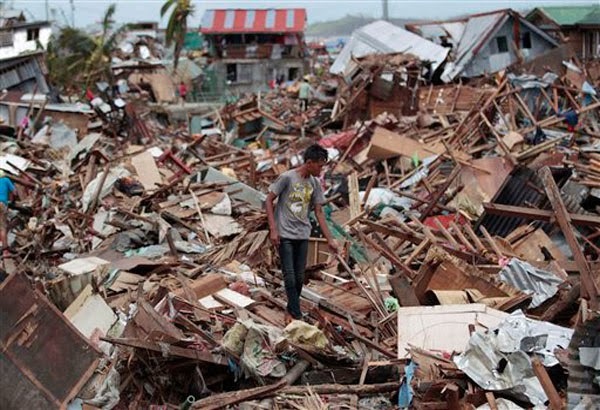 It's been three months since the onslaught of Typhoon Yolanda (international name Haiyan), which barrelled through the country and caused great damage to the Visayas region. Although it's been said that it will take a long time before the region can fully recover from the devastation, efforts to rehabilitate the typhoon-hit areas are continuous and ongoing. This, of course, wouldn't have been possible without the help of the international community and the big businesses here in the Philippines. Globe Telecom, for instance, recently launched Project Wonderful which aims to provide support in rebuilding communities through sustainable development. The company’s corporate response to nation building, Project Wonderful endeavors to provide shelter to the homeless, bring education to the children, and generate livelihood opportunities for the jobless. For the housing sector, Globe through a P15-million donation of its mobile and home broadband brand Tattoo, will build houses in the Gawad Kalinga Rotary Village in Brgy. Tambulilid, Ormoc, Leyte for the benefit of 100 families as well as provide livelihood projects for the residents. Repair kits for 500 homes will also be given to affected host communities in Culion, Palawan; Daanbantayan, Cebu; and Guiuan, Eastern Samar in partnership with Habitat for Humanity while another 940 shelter kits will be distributed in Malaya and Madalag, Aklan in partnership with Non-Timber Forest Products. For the education sector, Globe will establish 100 tent classrooms in totally damaged elementary and secondary high schools as well as distribute at least 5,000 learning kits for students and teachers in identified tent schools. Latest statistics showed that Typhoon Yolanda damaged over 1 million houses, more than 20,000 classrooms of public schools, and P17 billion worth of agricultural products in regions 4B, 6, 7, and 8. Also, Globe Telecom’s network in the Visayas has normalized, and local enterprises may now avail of their broadband services in the region. “We recognize the importance of communication services as a tool that could enhance business opportunities. We want to help the local economy in these typhoon-hit areas by making it our priority to restore network services that include not only voice and text services but also mobile data services, “ said Globe President and CEO Ernest Cu. He stressed that in support of the government’s rebuilding efforts, Globe has accelerated the restoration of telco services in the area to encourage local businesses to resume normal operations, provide livelihood for local residents and in turn spur the local economy. The road to recovery may be long and arduous, but in terms of fighting spirit, Filipinos are relentless, unyielding, tenacious. After all, we are a nation of heroes, and heroes never falter. This is heart warming- this is the real essence of Bayanihan even in modern times. I am proud to be one. "United we stand, divided we fall" Thank you that Globe is here to support our kababayans. mahirap bumangon, tama ka it's a long process but one small step at a time can make a big difference. My husband went to Haiti after the earthquake there, and it saddens me that Haiti still has such a long way to go. I'm glad Globe and other businesses (and the inter national community) are supporting the Philippines. May you all recover quickly and be stronger than you were before the typhoon. The top picture is so devastating. Oh! It's soo soo hard to look at it and know there were people who lived amongst all of that. It's wonderful to see all those who come together though. My home and community was torn up pretty bad by a tornado in 2003. Our house took a direct hit although we had minimal damage. All the homes around our house had to removed because of significant damage. In 2012, a couple of miles from where we went through the first tornado, Joplin was pretty much leveled. Although we were no longer living there, our children did. They are still recovering and the landscape still looks foreign to me. The Philippines has a long and hard voyage ahead of them. But, I have no doubt that they will come back better and stronger. What a great cause. Awesome that they are setting up tent schools. Good to know that their CSR project will benefit those who are really in need. Good job Globe! I think that this is a great project!! Glad that Globe is spearheading such a wonderful project. WOW, this is amazing! I'm an Oklahoman and I know tornado's all to well. It's awesome beyond words when people help others in times of need.